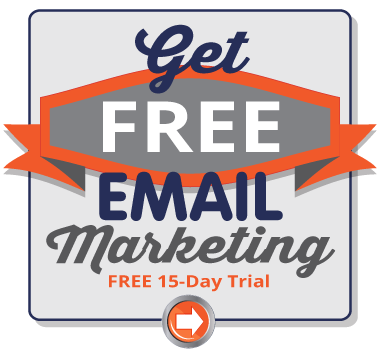 Email marketing is an inexpensive, yet effective way to reach your customers and prospects. 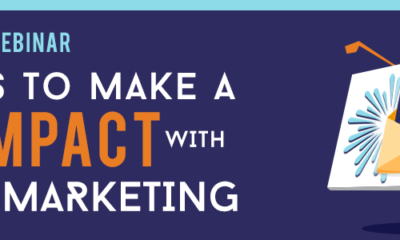 After all, the primary reason most marketers send emails is to persuade their prospects to buy their products or services and convert them into customers. Doing it correctly can take your business to the next level and generate a healthy ROI. In addtion, email marketing campaigns can be effectively leveraged to increase website traffic and enhance subscriber engagement with your brand. 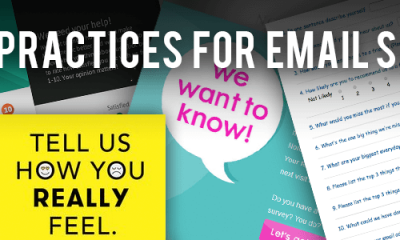 Below, we've listed five ways to use email to its full potential to increase your website traffic. First things first! Whenever you are planning to build an effective email marketing strategy, your subscriber list is the most important. We never recommend buying a list. Instead, you should use effective ways to grow your subscriber list and follow a double opt-in procedure to add your subscribers. 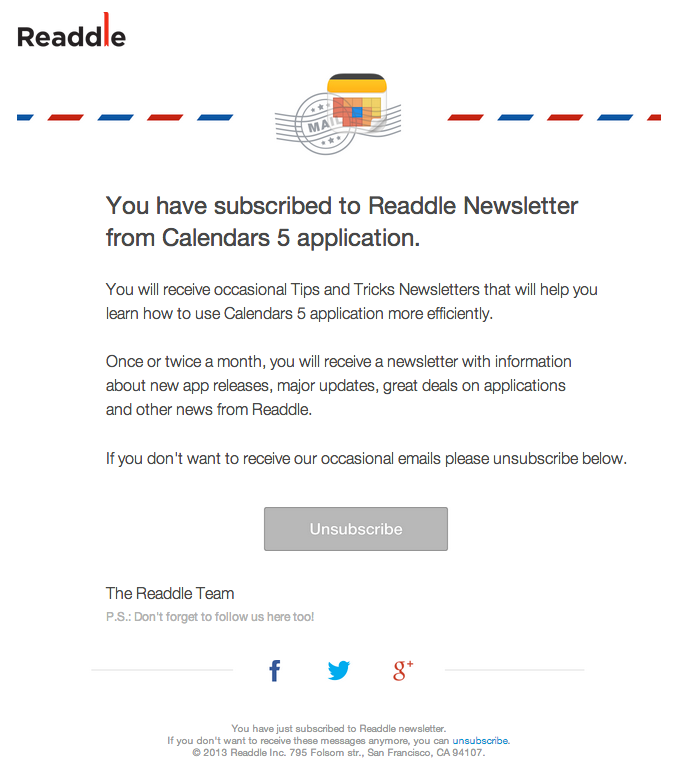 Check out the confirmation email sent by Readdle. This ensures that your email list comprises of quality subscribers who are genuinely interested in hearing from you. By doing so, it will increase your website traffic as well as repeat visits. To bring the email subscribers to your website and keep them engaged, you should have a relevant landing page that conveys more information about the offer highlighted in the email. Take a look at the email by Truebill. You are directed to the landing page displayed below by clicking the second CTA in the email, which will increase website traffic. Notice the relevance between the two? We hope (bet) you did! It is of utmost importance that your audience receives emails with information that interests them. 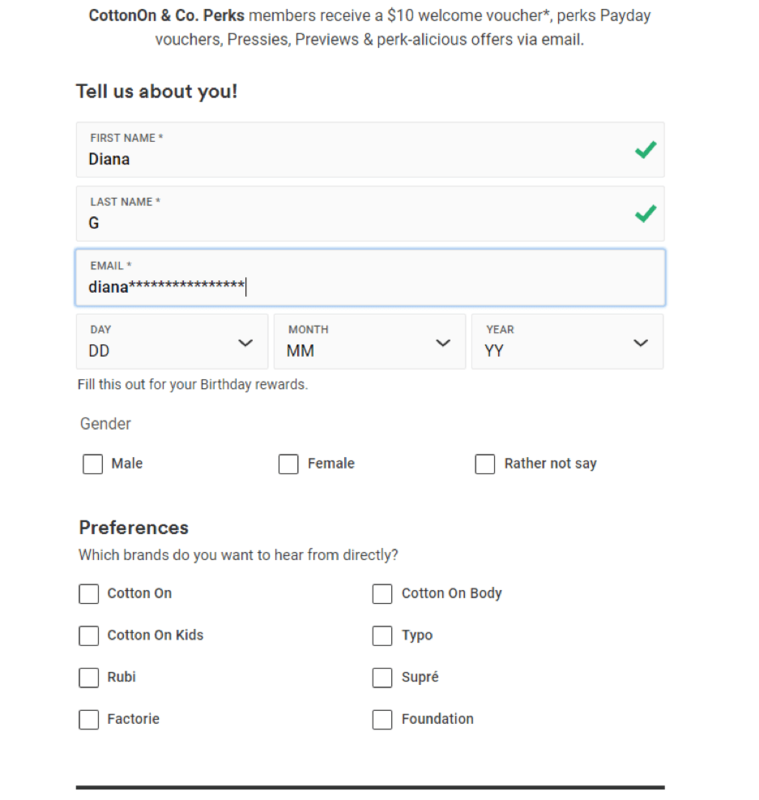 See how CottonOn & Co. requests the interests of the subscribers right at the time they initiate their signup process. The company will then send the subscribers relevant emails according to the preferences selected at the time they signed up. Great idea, isn’t it? 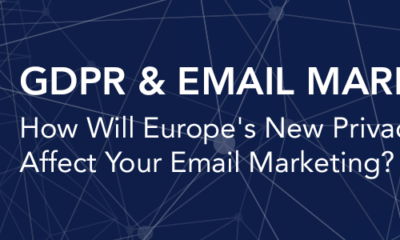 You should keep a close eye on your email marketing metrics. If your click-through rates are not at par with your expectations, you should work on creating better email copy and consider changing the placement, design or copy of the call-to-action button(s). Email service providers like Pinpointe often offer tools to check your metrics. Below is a snapshot of Pinpointe's statitcs overview screen. Using multi-varient testing (A/B/C testing) to see what is working for your audience is also highly recommended. In addtion, you can measure the average session time for the visits garnered through emails and the number of pages they have visited. Check out your bounce rate too; it will give you a clear idea of how your subscribers are liking your emails. If you want to enhance your website visibility, you should integrate your social media marketing with email campaigns. Highlight your social sharing icons in the emails and impart a consistent marketing experience throughout the marketing channels including your website. 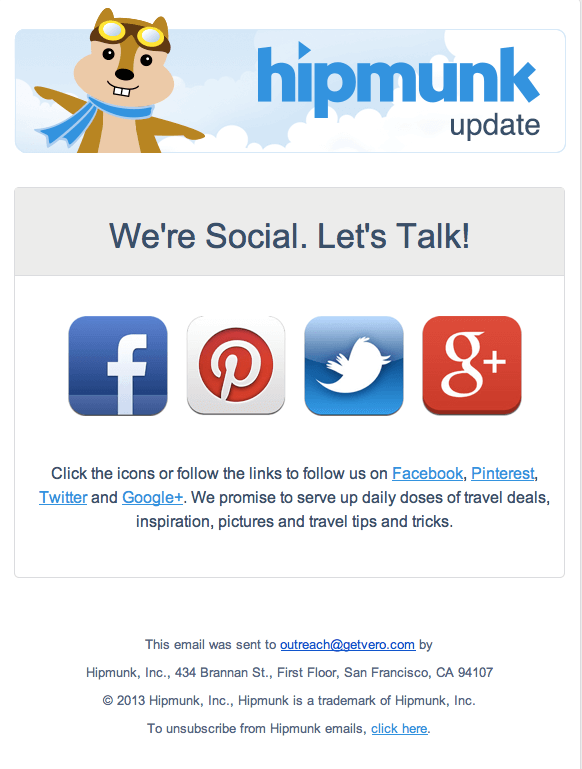 Hipmunk took it one step further with their emails and created a campaign that specifically drives their subscribers to their social sites – not a bad idea! A well-designed and thought-out email campaign can encourage your subscribers to stop by your site, click on the offerings, and convince them subscribers to make a purchase. Execute it correctly and reach your website traffic goals. Jennifer a pro-email marketer for seven years is currently associated with InboxArmy, a fully managed email marketing agency. Jennifer believes email to be alive and kicking and helps business professionals attract more customers through Impacting email marketing solutions. She resides in Grapevine, Texas, and during her free time you can find her passionately strumming her guitar and reading blogs on email marketing.